In May, filmmaker Kevin Smith revealed that he’s developing a television version of the cult classic MGM film The Adventures of Buckaroo Banzai Across the 8th Dimension. ComingSoon.net had the chance to catch up with Smith at Fantasia Fest for the Canadian Premiere of Yoga Hosers to talk to him 1-on-1, and he revealed some of his ambitious plans for the Buckaroo Banzai series. Check back this week for our full Kevin Smith interview! 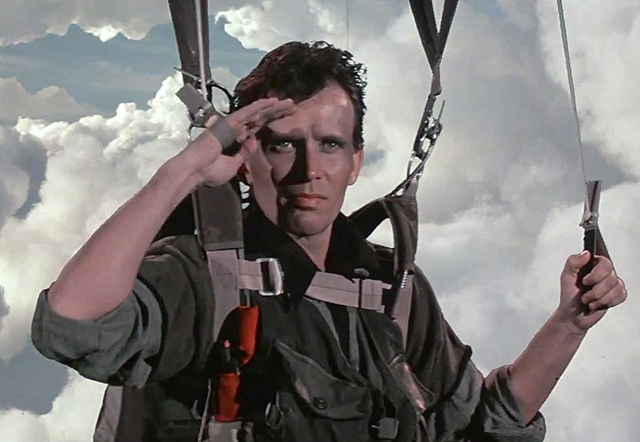 Smith also revealed his wishlist of directors he wants to helm episodes of the Buckaroo Banzai series once it heads into production, a list that includes some genre heavyweights. The original film was released in 1984 and featured an all-star ensemble cast, including John Lithgow, Clancy Brown, Jeff Goldblum, Christopher Lloyd, and of course Peter Weller as the title character, who is described by one of the characters in the film as thinking “he’s Einstein, James Bond and Batman all rolled into one!” A box office bomb at the time of its release, the film has gone on to become a cult favorite with several spin-offs comics and sequel talk coming out over the years. What do you think of Smith’s plans for the Buckaroo Banzai series? Sound off in the comments below!